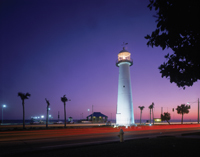 Get out your swimsuits, sunscreen, and luau outfits and come on down to Biloxi this summer, and have a fun time on the Mississippi Gulf Coast. The weather will be perfect (we’ve talked to the local weatherman!). I think everyone will have a wonderful time. So far, all seafood has tested to be safe to eat and there will be plenty of it. There is none better anywhere! On Friday we will visit Jefferson Davis' home Beauvoir. That evening we have planned a Schooner Cruise. Sign up for both when you register for the reunion. Its a large schooner that carries 45 people, so sign up early. A Luau is planned for Saturday night so bring your Hawaiian shirts, grass skirts, shorts, flip-flops and enjoy. The caterer has planned a wonderful Hawaiian menu! Bonnie and I get excited just talking about it! This should be a fun evening! There just may be someone in the group who can do the hula!!?? We have reserved a block of rooms at the Quality Inn on the Biloxi Beach next to the coliseum. The Poindexter Room and banquet hall looks out over the Mississippi Sound and has a lovely view of the beach and water. There are huge live oak trees in front with a grassy area with table and chairs under the long, overhanging tree limbs - just right for watching the beautiful sunsets or early morning coffee and watch the sun rise. There is so much to see and do so come a couple days early for an extended vacation. Go to our About the Area button to read about things you and your family can do for recreation. There are also brochures galore at the hotel. 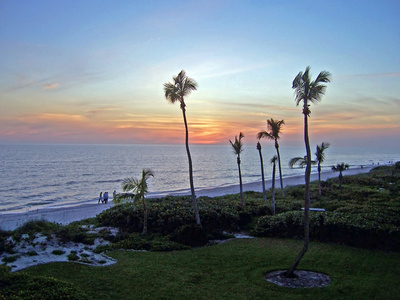 There are 26 miles of beaches, museums, casinos and a shopping mall nearby. Be sure to visit the old lighthouse, one of the oldest still standing in the USA, built in 1848. Visit each link at left to find out everything you need to know to participate in this year's reunion. Contact me or my co-host, Bonnie Nettles, if you have any questions.